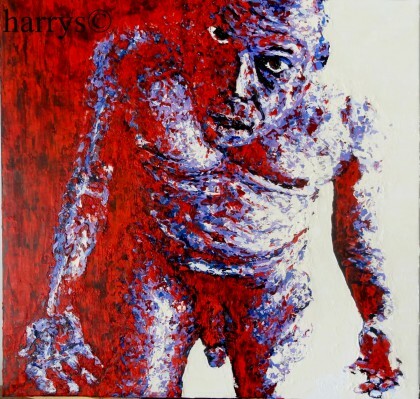 I have to confess, with a lot of sincerity, that the work of the French artist HARRYS is particularly rich in originality and in generosity. His paints consisted of with a ruddy complexion characters express the thoughts, the internal disorders and the passions which cross them. These moods collide in colors and fervent rhythms. Attentive and acute observer, our artist analyzes the events, the characters, the complexity of the actions of the men while they stir for absolutely nothing. 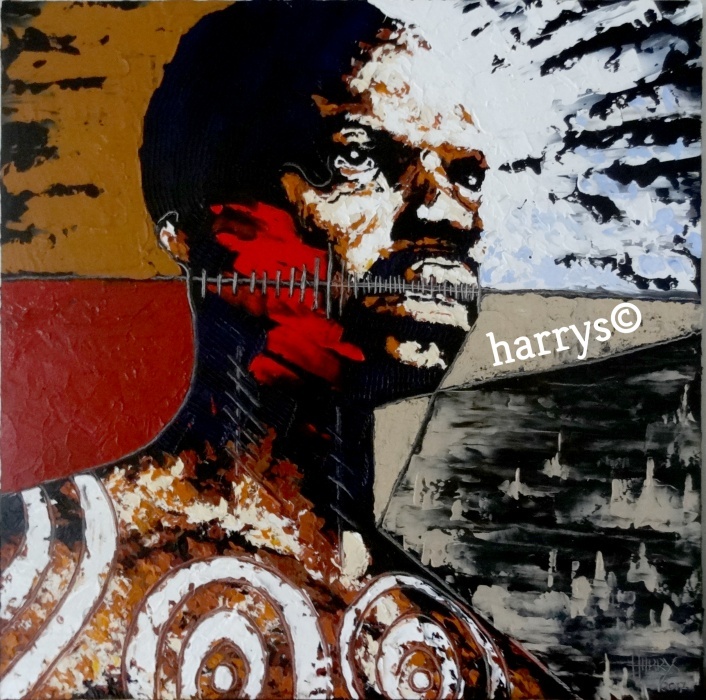 In the works of the artist HARRYS there is no mystification, much more there is on the base an extreme sensibility, an extraordinary emotionalism for the human beings. His painting is not especially of ” the art for art’s sake ” but rather the expression of feelings, ideals, hypotheses, signals taken in with tenderness by an artist still tuned to the transformations of the contemporary world. 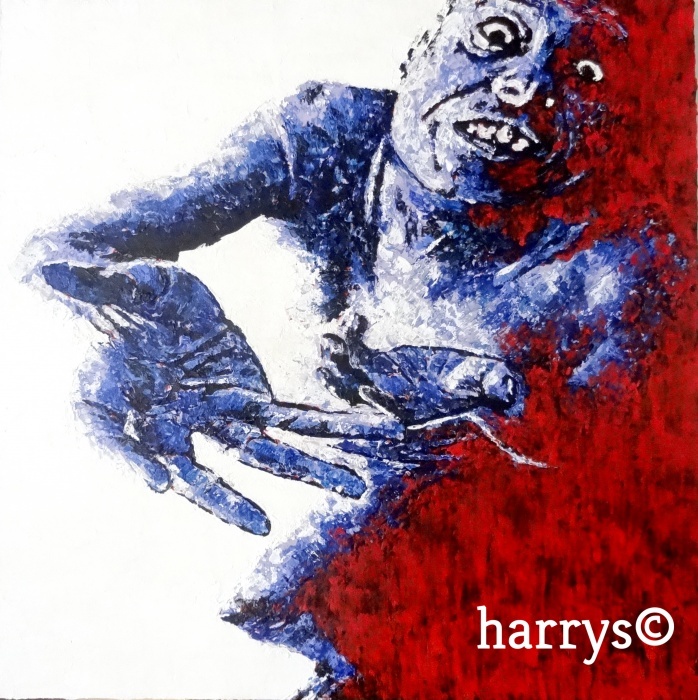 Indeed, the themes of the paints of the artist HARRYS evolve according to his humor of moment through its various experiences of the everyday life, its real-life experience in thousand concerns, his adversities of all kinds and sometimes his reactions in attacks undergone by the personal and collective freedoms. His painting sends back to the secret things, it is a metaphor without words, a way of creating a singular chromatic vocabulary, a resolutely romantic pictorial confession. He knew how to create a very personal style, thanks to his perseverance and to his ceaseless search for new expressionistic models. The painted faces have a soul, they reveal and show completely their state of mind of abandonment, poverty, lack of affection and desire of freedom. All his works are realized with the same technique. The process used to paint its compositions results from a superimposing in the infinity of coats of paint in thickness until obtain a carnal and alive material. HARRYS offers us a pictorial world rich in contrasts, penetrated among others, of moral isolation, rudeness, irony, tenderness, black humor, fury and sensualism, always characterized by a remarkable meaning power and an absolute sincerity, in the burning and violent colours. We have to admit that the gratitude obtained recently by the artist at the level of the general public and at the level of the criticism is amply deserved, I am convinced that in the future, their opinions will be even more favorable, because the unique universe of the painter HARRYS is of an undeniable strength and an originality unquestionably. Critico Internazionale - Esperto d’Arte Moderno. Corrispondente de ? Il Pungole? .